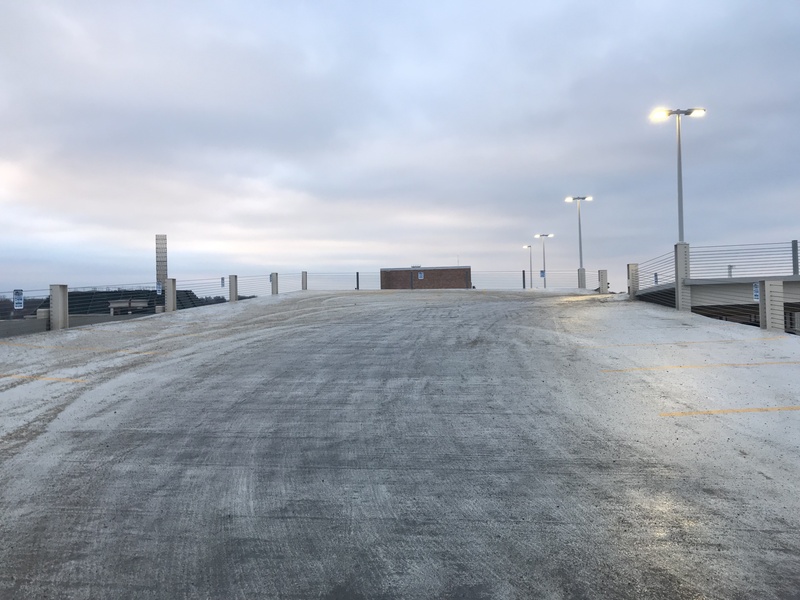 The completion of the construction in parking lot 1 has allowed Parking to add much needed daily rate flex parking (DRFP) stalls in two locations on the 42nd & Dewey campus. Twenty one (21) stalls were added in Lot 6; the stalls are all located on the top level and are marked with standard DRFP signage for daily rate parking only (picture above). Fourteen (14) stalls were added to Lot 17, the stalls are adjacent to the stairway that leads from Lot 17 to Emile Street. Please refer to DRFP Map for exact locations, as well as photographs of locations for your reference. As a reminder, Daily Rate Flex Parking spaces are for individuals who are coming to the 42nd and Dewey campus for work related purposes and do not have a parking permit. They are often TravelSmart participants but can also be colleagues who work at other locations coming for meetings or to cover shifts, or casual employees, etc. that have inconsistent schedules and choose not to have a parking permit. Colleagues and students with a parking permit cannot use Daily Rate Flex Parking and will be ticketed if they do so. If you do not have your parking permit with you, please call the Parking Office for validation. For information on using Daily Rate Flex Parking, to get the free Park Omaha app (which can also be used to park in other locations in Omaha), or website payment instructions, please visit our website. Are you a TravelSmartie? Participating in TravelSmart is always free, a great way to save money, is generally better for your health, and reduces both emissions and traffic congestion. Not sure? If you have thought of riding the bus, walking, biking, or carpooling, but aren’t sure where to start, need help finding a bus route or carpool partner, email TravelSmart@unmc.edu and we will be happy to help! There’s no commitment required in looking at options or contacting us, and the free emergency ride home will be available to you too.